Both television and newspapers regularly feature stories concerning the changing age demographics in the United Kingdom – the number of people over eighty will double in the next twenty years to over six million. This information underlines the need to review your circumstances on a regular basis to ensure that you are not caught unaware as you or your relatives get older. As a Dementia Friendly organisation we are acutely aware of the need to help and support people plan clearly for the future. 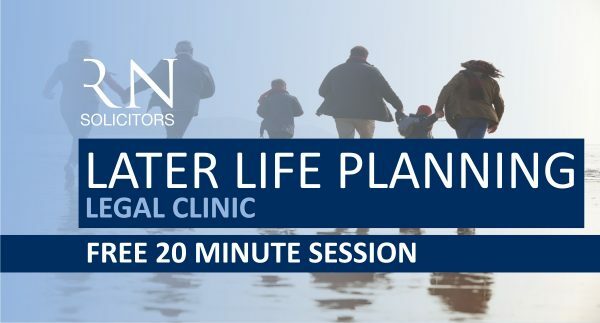 To aid people with this, we are offering a free twenty minute later life planning legal clinic on Wednesday 5th December at our head office on Willow Lane Norwich, to discuss any queries or concerns you may have in relation to planning for later life. If you wish to book an appointment you can call me (Barbara Pond) on 01603 675616 or email barbara.pond@rogers-norton.co.uk.